Phew. 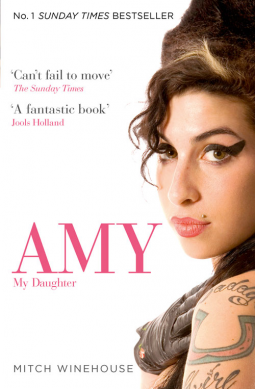 Okay, hand on heart I am not an Amy Winehouse fan – though I found her intriguing. This book goes into her life from her dad’s perspective – based on his memories and diaries. The bitterness (understandable bitterness) towards the Fielder-Civil family I could do without – we know he doesn’t like the family, and occasionally it made uncomfortable reading. Ultimately, a dad lost his daughter, a family a daughter, girlfriend, sister. This book is all about family – and having to let go and accept the only person who could help Amy was herself. We all know the ending, and with the Amy Winehouse Foundation now set up I’m going to send a donation. If it goes towards helping someone, that’s a good thing. I’ve been glued to this book all week and I didn’t expect it – you get answers to a lot of things and I think it was probably cathartic for her dad to write it and put the record straight. Is Amy one of the first who has gone in the digital age? As in, that shambolic performance not long before she died which was everywhere – we all watched her lose her battle. It also scares the crap out of me that one day my daughter could make bad decisions. There are things as a parent you can’t control or change, and I felt for her family. I received a copy of this book for free via NetGalley.